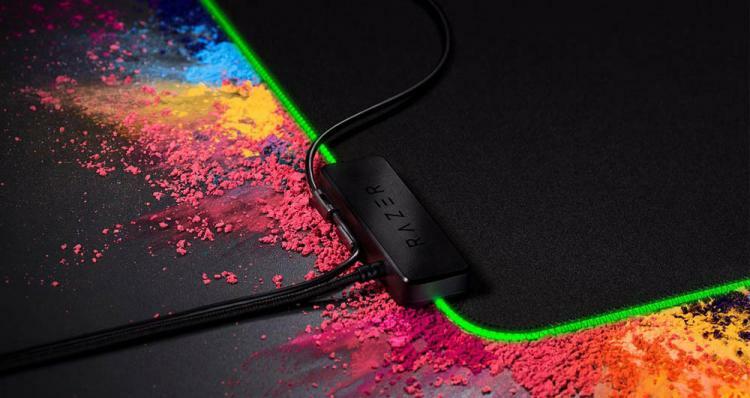 March 27th 2018 - Razer, the leading global lifestyle brand for gamers, today announced the Razer Goliathus Chroma, a multi-color LED version of Razer's bestselling and affordable soft mouse mat that gamers can now customize with up to 16.8 million color options and an array of lighting effects. Following in the footsteps of the Razer Firefly, the original RGB mouse mat, the Razer Goliathus Chroma is the latest device to join the Razer Chroma family which includes the award-winning Razer DeathAdder Elite gaming mouse, the Razer BlackWidow Chroma V2 gaming keyboard, the Razer Kraken 7.1 V2 gaming headset, and many more. The Razer Goliathus Chroma offers pre-set lighting effects such as spectrum cycling, breathing and reactive, as well as user customizable effects when it syncs seamlessly across Chroma-enabled products through Razer's Synapse 3 (Beta) software. "We pioneered the first RGB mouse mat with the Razer Firefly and I'm incredibly excited for the Razer Goliathus family of soft mats to join the line," says Min-Liang Tan, Razer co-founder and CEO. "The Razer Goliathus is our most popular mouse mat for all gamers due to its simplicity and portability. The Razer Goliathus Chroma provides a great Razer Chroma entry point to let gamers take personalization to the next level." Optimized for all sensitivity settings, sensors and playstyles, the micro-textured cloth of the Razer Goliathus Chroma allows for quick precision maneuvers, while the non-slip rubber base keeps it firmly in place. The new mouse mat also has a built-in cable catch for easy cable management. Also announced today is the Razer Goliathus Chroma Extended, an oversized version of the mat for those seeking to have their entire desktop setup on the same surface. 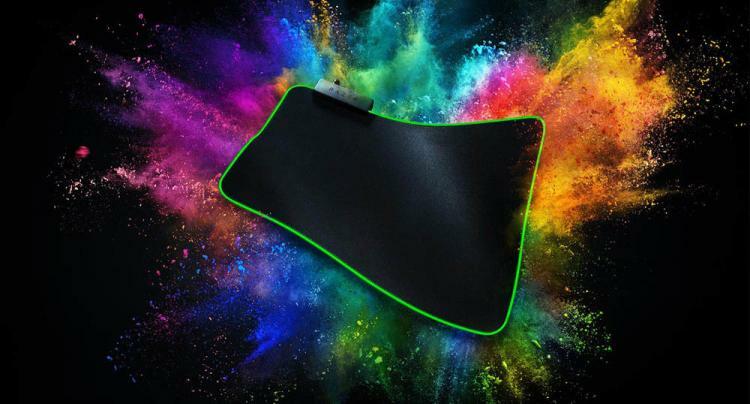 Based on the popular Razer Goliathus Extended, this is the largest multi-color LED enabled mouse mat in the world. The Razer Goliathus Chroma is in store now at Razer.com priced at $39.99/€39.99, and will be available worldwide at some point in Q2 2018. A larger version, the ~900mm wide Goliathus Chroma Extended, is priced at $59.99/€59.99 and scheduled for worldwide release in Q2 2018. For more information about the Razer Goliathus Chroma mouse mats, please visit http://www.razer.com/gaming-mouse-mats/razer-goliathus-chroma.